A doctor shares a hard, but necessary, lesson. 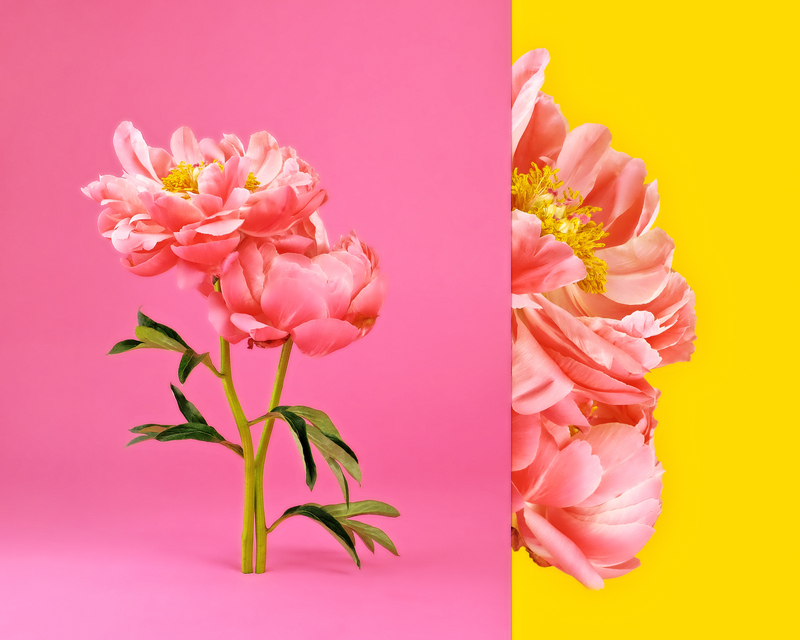 Side by side composite image of pink peonies in bloom with pink and yellow background. In my years of medical practice, I have come to believe that each of us should think about our personal quality of life long before the end of our days. It is far more important to have a good quality of life throughout one’s life. I believe people should make conscious decisions to ensure quality of life. This means orienting themselves early on in life toward caring for their personal health and well-being. One way to care for one’s quality of life involves reducing the risk of disease. Do not take your health for granted. Get regular checkups and address signs and symptoms of disease early. Do not engage thoughtlessly in risky behaviors that can cause injury or illness. Do not smoke, take illegal drugs or misuse legal drugs and prescription medications. Exercise, eat a healthy diet, get enough sleep and take steps to reduce stress. Another way to care for your quality of life involves attending to your emotional and psychological well-being. Develop and maintain a supportive network of family and friends. Engage thoughtfully and caringly with those around you. Participate in activities that give you joy and bring meaning to your life. Live fully in each moment and embrace life in all its wonder. Actively seek to maintain a positive outlook and derive satisfaction from life. Having said that, my professional experience lies mostly with patients and families discussing quality-of-life issues in the context of serious illness. The problem I see all too often is that my patients and their loved ones are lured by the misconception that, in the context of cancer, it is better to have quality of life than it is to pursue a treatment such as chemotherapy, surgery or radiation therapy which might make the patient miserable. But there are two major flaws in this reasoning: the mistaken belief that quality of life can be achieved if treatment of disease is suspended, and the erroneous assumption that treatment will not change the course of the disease. Both of these are important points, so let’s explore them in a bit more detail. Once you become ill, whether you are fighting cancer or some other disease, having a good quality of life generally depends upon controlling the underlying disease. If you don’t address your disease, the chance you will achieve a good quality of life is substantially diminished. Let’s consider, for example, a man we’ll call Quentin. Quentin has an incurable form of cancer. Together with his family, Quentin contemplates his options for treatment. One of the key points in the family’s discussion is that the type of cancer Quentin has is not currently curable. There is a treatment available that offers a chance at remission, but the treatment cannot cure Quentin’s cancer and there is no guarantee that remission will be achieved. Quentin’s family is concerned about pursuing treatment because the treatment is likely to be very tough on Quentin, and they do not want Quentin to suffer. Together with Quentin, they have accepted the incurable nature of Quentin’s cancer and want him to have a good quality of life for the time he has left. They believe aggressive treatment of Quentin’s cancer will deprive him of that. However, Quentin’s disease is probably already affecting his quality of life. If his disease is not treated, he will not achieve a good quality of life, even in the short term. Therefore, the goal of giving Quentin quality of life by not pursuing treatment will not be realized. Furthermore, this treatment, while difficult in the short term, does have the chance of sending Quentin’s cancer into remission; and, if it does, Quentin could remain in remission for a prolonged period of time with a near-normal quality of life. In cases such as this, and really in the case of any disease, there has to be a balance sought between the harms or benefits and limitations or capabilities of treatment. We must face our misconceptions about the possibilities head on. If we believe that it is better to decline treatment and have some quality of life than it is to continue treatment and have a poor quality of life for a short time, we need to consider whether we can reasonably expect to achieve a good quality of life if we don’t treat the underlying disease. We also need to consider all the potential outcomes of treatment. Often, the decision requires weighing the concerns over some level of short-term discomfort against the possibility of a long-term gain in health and well-being. Published with permission from Defeating Cancer: Knowledge Alone is Not Enough. Philip A. Salem, M.D. is a world-renowned cancer specialist, researcher, educator, author and international medical statesman. For over 50 years, Dr. Salem has successfully treated tens of thousands of cancer patients. He also was a member of the White House healthcare advisory committee for five years, during the administrations of President George Bush Sr. and President Bill Clinton. He has published extensively on Immunoproliferative Small Intestinal Disease, and the causative relationship of infection to cancer. His research was crucial in the development of new anti-cancer agents, and he developed new methods for delivering cancer drugs to patients to reduce toxicity and maximize efficacy.